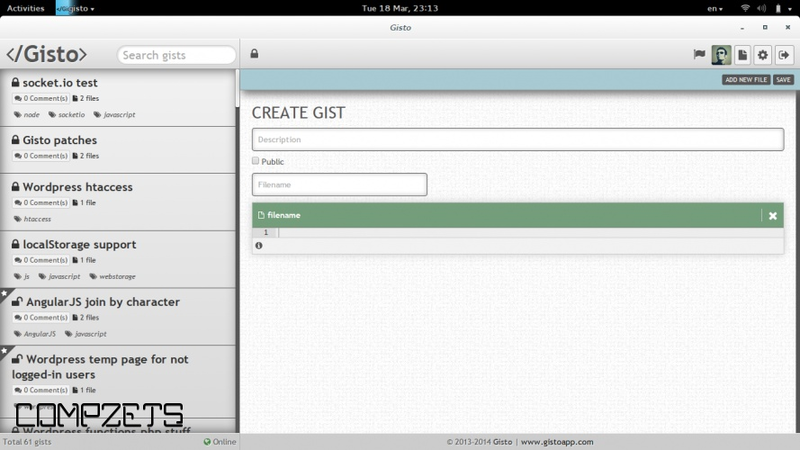 Gisto is a cross-platform gist snippets management desktop application that allows you to manage and share your gists easily. Gisto uses GitHub gists infrastructure which means all your existing gists are accessible from both Gisto and GitHub gists website. 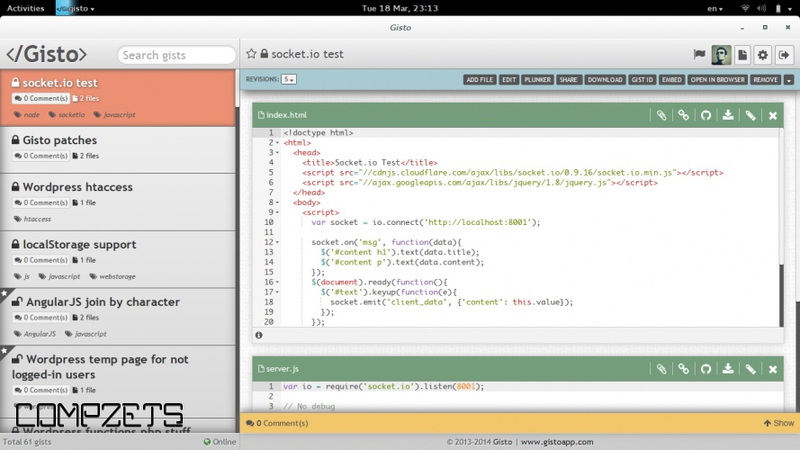 Gisto includes Ace a rich code editor for editing your gists on the go and includes features such as syntax highlighting auto-completion emmet and more. Gists can be found quickly using our search filter and can be filtered by a gist description, file names, tags and more. 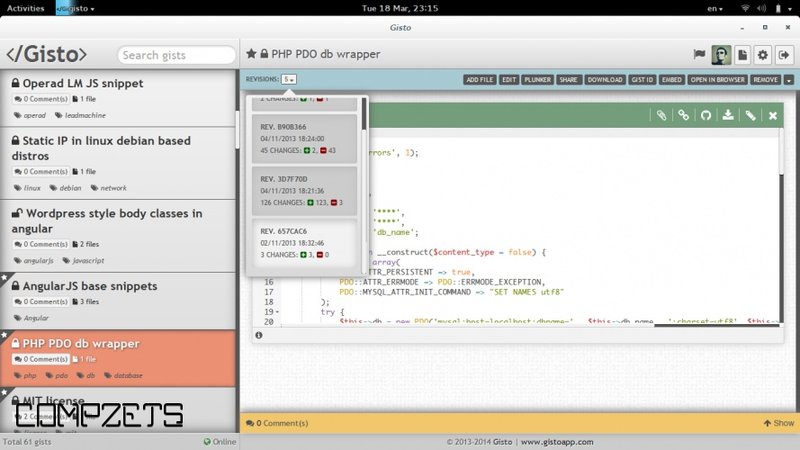 Gisto allows you to tag gists with custom tags this helps you find your gists easily and categorize them upon your needs.